Marilyn hanging out the laundry. 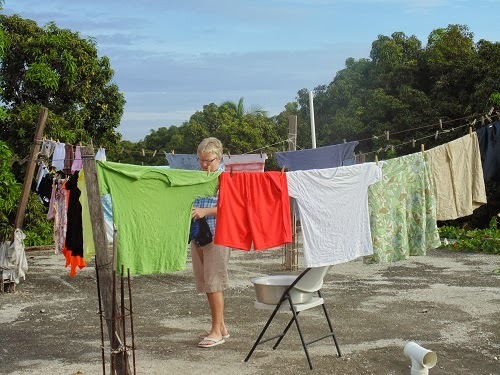 We enjoy the luxury of a washing machine here, but we rely on the hot sun to dry our clothes. They dry in no time in the morning sun! Sorry it has taken me so long to catch on to the fact that you were already back in Haiti. Glad things are going well. I'll start following your blog more closely now that I'm clued in.